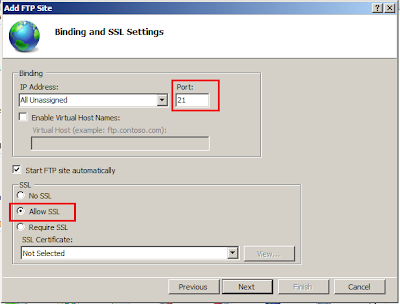 You can follow below mentioned steps to create a Basic FTP site in IIS 7. Create a folder named "ftproot" at <System Drive>\inetpub\" if it not already exists. You may use any name for this folder. Type "inetmgr "to open the IIS in command prompt. Under Sites Section, right-click the node click Add FTP Site. On the next section, Choose an IP address for your FTP site from the IP Address drop-down, or choose to accept the default selection of "All Unassigned." 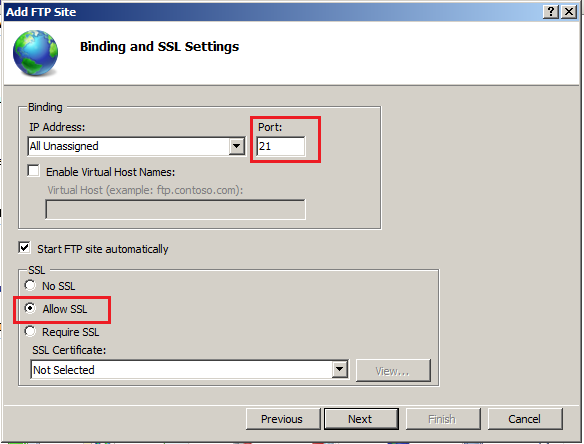 Enter the TCP/IP port for the FTP site in the Port box. I will go with the default port of 21. 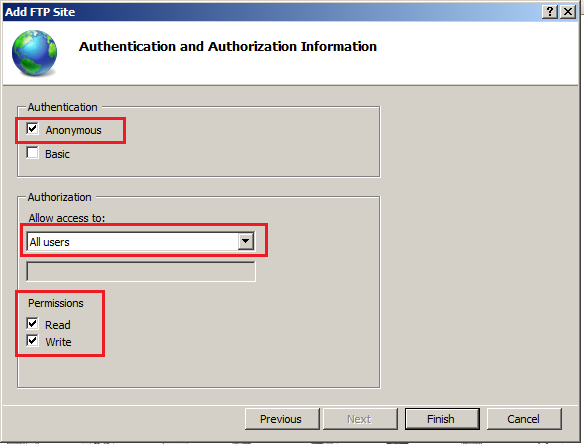 On the next tab, select Anonymous for the Authentication settings. 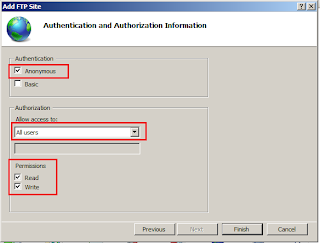 I have selected the option - Allow Access to: All Users and given all the users Read and Write permissions. You can change these settings as per your requirements. 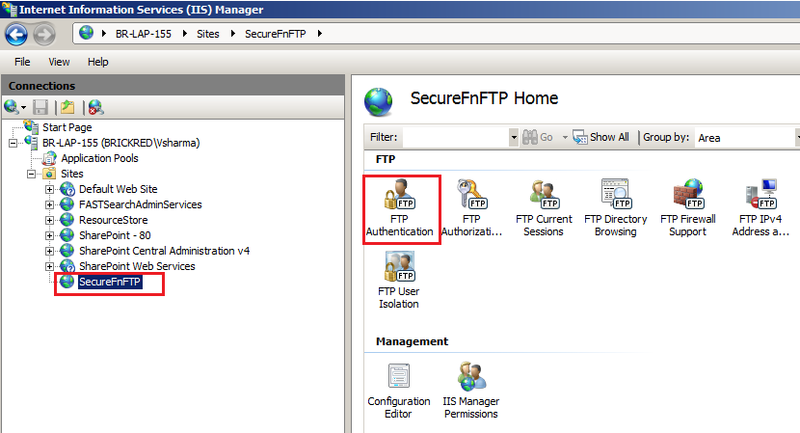 In order to add folders and files to the FTP location, you will need to enable Basic Authentication on this FTP site. 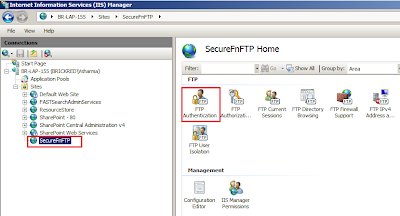 Now you are ready to access the FTP site in your domain.